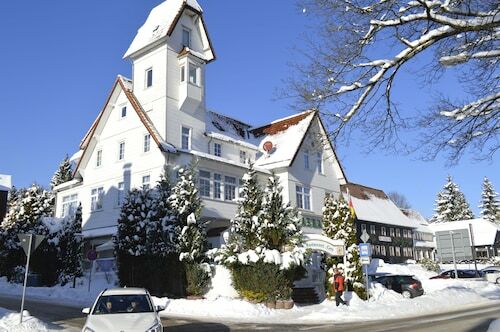 Located in Goslar Rural District, this hotel is 0.5 mi (0.9 km) from Wurmberg Gondola and 2.7 mi (4.3 km) from Wurmberg. Harz National Park and Grenzlandschaft and Museum Sorge are also within 6 mi (10 km). 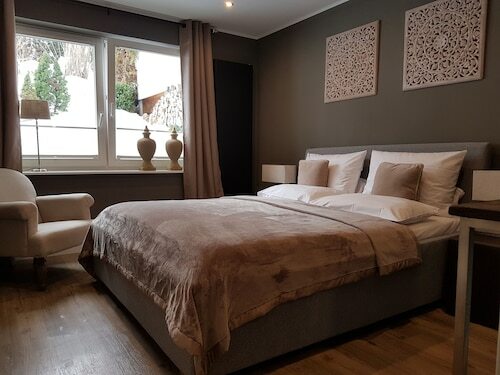 Located in Goslar Rural District, this apartment building is 0.5 mi (0.8 km) from Wurmberg Gondola and 2.6 mi (4.2 km) from Wurmberg. Harz National Park and Grenzlandschaft and Museum Sorge are also within 6 mi (10 km). 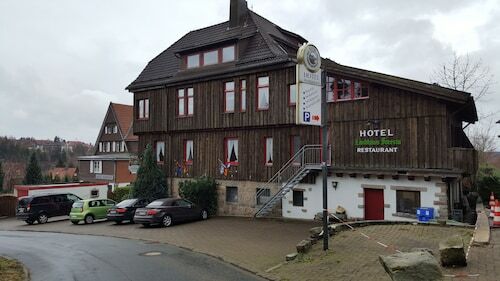 Located in Goslar Rural District, this hotel is 0.7 mi (1.2 km) from Wurmberg Gondola and 2.6 mi (4.2 km) from Wurmberg. Harz National Park and Grenzlandschaft and Museum Sorge are also within 6 mi (10 km). 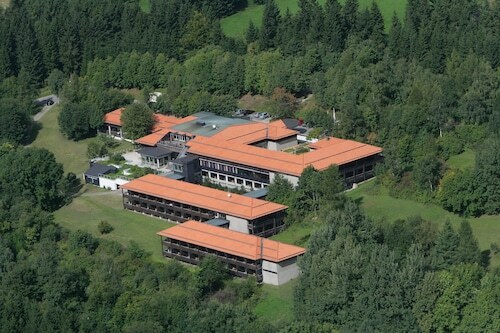 Located in Goslar Rural District, this hostel is 0.2 mi (0.4 km) from Wurmberg Gondola and 2.1 mi (3.4 km) from Wurmberg. Harz National Park and Grenzlandschaft and Museum Sorge are also within 6 mi (10 km). Located in Goslar Rural District, this property is 0.3 mi (0.5 km) from Wurmberg Gondola and 2.4 mi (3.9 km) from Wurmberg. Harz National Park and Grenzlandschaft and Museum Sorge are also within 6 mi (10 km). At Harz National Park, you'll feel a sense of ease as you let go of all of the stresses and hassles of the modern world. Take an invigorating walk, enjoy the fresh air and watch the birds flying overhead. Your body and mind will no doubt be grateful. Osterode am Harz, approximately 60 miles (97 kilometers) from Erfurt, the state capital, is where you'll find it. 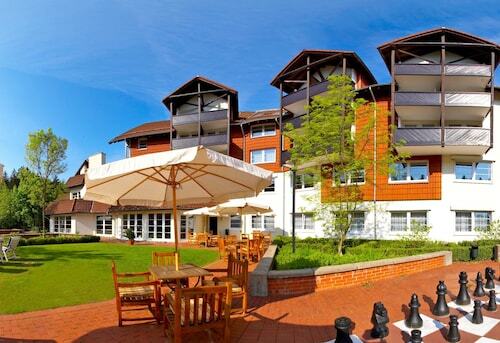 Enjoy a light breakfast at the Torfhaus HARZRESORT before you set out to see Harz National Park. Since it's just 2 miles (3 kilometers) away, you're not going to have to rush! If elegant surroundings aren't your style, consider some of the bargain hotels that are in the area. Why not consider the Hotel Askania and the Hostel Braunlage? Consider treating yourself by spending a night at one of the handful of sophisticated hotels that are in the vicinity. 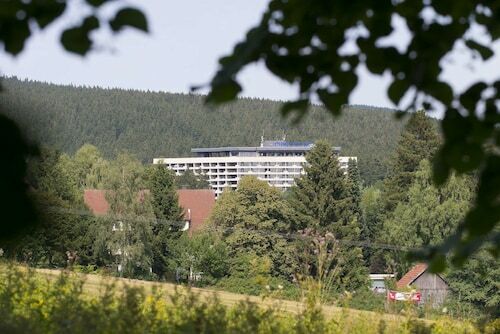 Rooms at the Maritim Berghotel Braunlage and relexa hotel Harz-Wald are ideal choices. 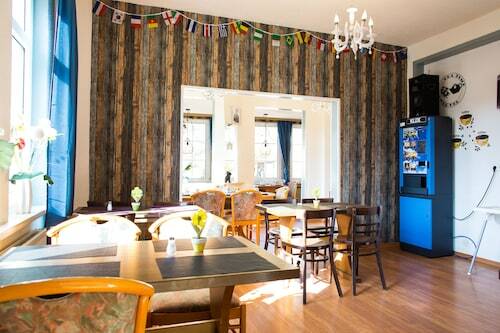 Find a seat at the bar at The Cabin - Hostel & Bar (Oderbrück-Süd 9, Sankt Andreasberg), and have your favorite alcoholic beverage. It's a short walk away, at only 0.09 miles (0.14 kilometers). Even if you're not ready to scale the mountainside, looking at Wurmberg from a distance is an amazing experience. Hit up the peaks at Wurmbergschanze to get your adrenaline pumping. Relax, settle in and take in the different scenery during a ride on Wurmberg Gondola. If you're on the lookout for someplace to keep the kids busy, check out Samson Pit. Grasp a better sense of the spirit of the area by going to see Kleinste Holzkirche Deutschlands, a local church. Hotels in Harz National Park start at $42 per night. Prices and availability subject to change. Additional terms may apply.